On August 31, 1997 Great Britain lost a princess. Diana had been enjoying a carefree summer of lavish fun alongside her new beau, Dodi Fayed. She was scheduled to meet her sons, Prince Harry and Prince William the very next day. On that fateful night, Dodi and Diana left their hotel in one of three decoy cars (hoping to avoid the paparazzi) to enjoy one last dinner in Paris. They never arrived. Princess Diana, along with Dodi, and Henri Paul their driver, were killed in a tragic car accident in the Pont de l’Alma tunnel in Paris, France. Only their bodyguard survived. Six days later, more than a million mourners lined the 3.5 mile walk to Diana’s memorial while billions of viewers watched the televised procession around the world. Diana was laid to rest on an island in the middle of a lake at Althorp – a private retreat owned by Diana’s family. In the years that followed, speculative stories came out about the cause of the accident. Conspiracy theories swirled, and information surfaced about drunken and reckless driving and the role of the paparazzi played in pursuing the car Diana was in. One small critical detail, however, was often overlooked. On the ten year anniversary of the accident, in a follow-up story, Anthony Read, a senior accident investigator, said he could “almost guarantee” that Diana and Dodi could have survived the crash. Despite the reckless papparazzi, the impaired driving, and speeding cars, Diana and Dodi might still be alive today, according to Read, if, like the survivor of the crash, bodyguard Trevor Rees-Jones, they had just been wearing seat belts. The United States Department of Labor reports that every five seconds – in the United States alone – there’s a vehicle crash. Every ten seconds there’s an injury accident. Every 720 seconds (12 minutes) a crash victim dies. A large percentage of accidents happen during commute hours when drivers are headed home, and when they go out for the evening like Dodi and Diana. The monetary loss coupled with lost lives is huge. Collectively, the cost is felt most acutely in industries that have vehicles on the road as part of their daily operations… trucking companies, parcel delivery services, and logistics companies. According to OSHA, employee vehicle crashes from individual cars, buses, vans, truck fleets and semi trucks cost companies over $60 billion a year. This figure includes medical care, lawsuits, damaged property, and loss of labor. Other peripheral costs factor in as well. For instance, employers will see increases in their insurance programs as Workers Compensation and disability policies escalate. Group health insurance will also rise. Other costs including labor for additional paperwork, meetings, time off for doctor visits, court dates, and substitute employees also add up. 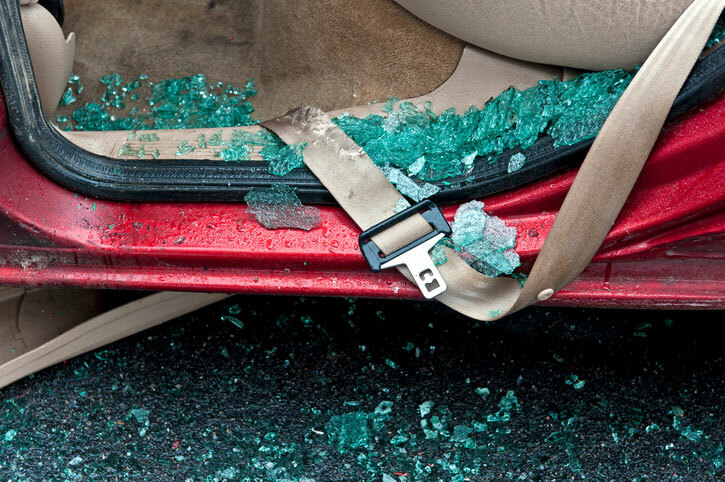 A non-injury vehicle crash, on average, carries a large price tag for a business: well over $16,000 per occurrence. In an injury accident that figure skyrockets to $74,000. If someone dies, an employer can expect to pay out an average of a half million dollars. In 1987, Virginia Polytechnic Institute and State University set out to apply the seven dimensions of ABA in a study that looked at employee seatbelt usage. Observing nearly a quarter million vehicles over an 18 month period, the goal of the program was to change employee behavior and improve seat belt compliance in a way that could be replicated by any employer. The experiment included a series of rewards both immediate and delayed, as well as contractual agreements with participants stating their agreement to change their behavior. The conclusion of the program proved that, not only did most employees buckle up during the experiment, but some residual compliance remained. When these methods were repeated, compliance increased. Statistics show wearing a seatbelt reduces death by 45% in a car, and 60% or more if a person is driving a truck or SUV. That information alone has little impact on compliance, however. Since seat belt installation became mandatory in cars in 1964, usage for all drivers has increased, but only by employing methods of applied behavior analysis. As late as 1982 seat belt usage was a mere 11%. When New York enacted the first seat belt law in 1984, compliance shot up to 50% (CDC). As of 1996 most states now have a mandatory seatbelt law, and since 2009 seat belt use has held steady at 88% nationwide. In Paris, France in 1997 when Diana and Dodi climbed into the car for the last time, wearing seat belts was mandated by law. Sadly, Diana and Dodi didn’t comply with the law. Diana’s life was cut short, but as the world looked at the actual cause of the death, not just the cause of the accident, she may have helped save millions of others in the decades since. In fact, since 1998, road fatalities in France have fallen by 30 percent. This decline has partially been credited to Diana’s death, according to The Chicago Tribune. This is more than the story of the untimely and tragic death of a princess. It’s the story of how ABA methods can be used to promote behaviors that have the potential to save innumerable lives.